Present collaborations are CDF, CMS, FOCUS, DONUT, LUX, Double Chooz and LBDUSEL. CDF, CMS, DZero, FOCUS, DONUT, LBDUSEL, E706, E653 and other earlier experiments. Nine faculty (including two active emeriti), three senior researchers, six postdocs and more than a dozen students take part in work at Fermilab. Many of them live on site. Founding member of U.S. CMS, contributing to Endcap Muons and Forward Pixels work. UC Davis is one of the largest U.S. university groups on CDF and has contributed to the CDF Run 2 silicon, XFT L2 trigger and top quark and tau lepton-related new particle searches. On DZero, the Davis group proposed the first tracking trigger, and designed and developed a front-end chip for it. Studying the top quark and looking for new particles and phenomena, including the Higgs boson, supersymmetric particles and neutrino CP violation at the highest-energy and intensity accelerators in the world. WHAT SETS PARTICLE PHYSICS AT UNIVERSITY OF CALIFORNIA, DAVIS APART? 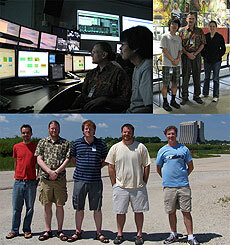 Our group has a rich history of particle physics research during the last 40 years. We have added a number of new faculty in the past decade and have a vibrant program spanning collider, neutrino and dark matter physics. 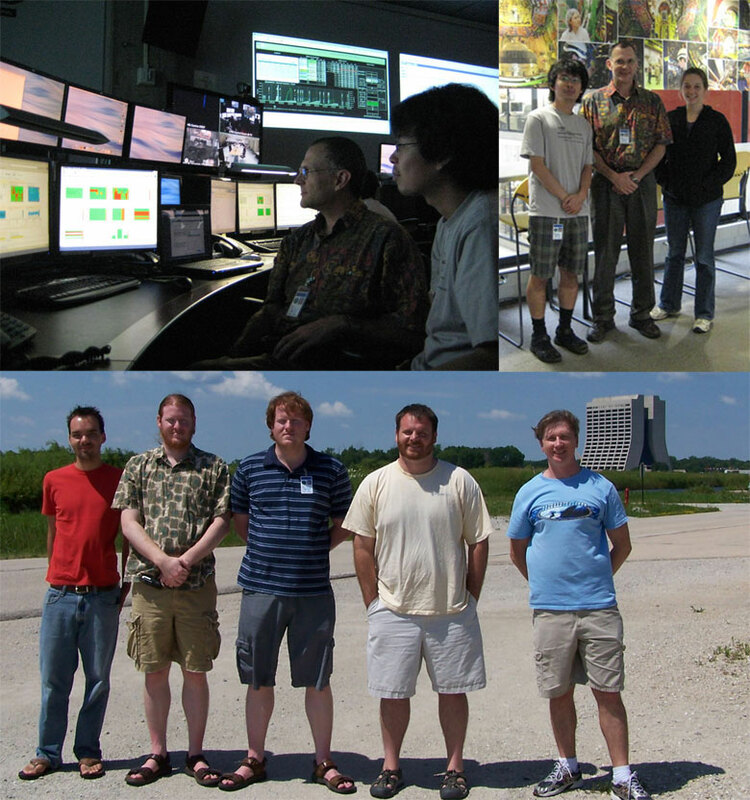 Top left: University of California, Davis CMS group members Michael Case and Sho Maruyama in the Fermilab CMS Remote Operations Center; top right: Maruyama, Case and UC Davis CMS group member Carley Kopecky at the LPC at Fermilab; bottom: UC Davis CDF group members Will Johnson, Charles Cox, David Cox, Tom Schwarz and Andrew Ivanov.